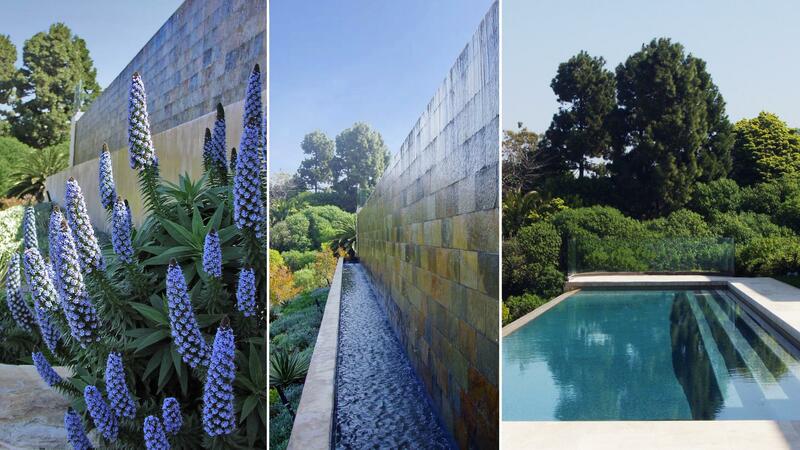 This 2-Acre terraced hillside botanical garden is poised high above the Pacific Ocean. It is defined be long views on and off site and is scribed by indigenous site excavated stone used for two 100 foot long battered walls. 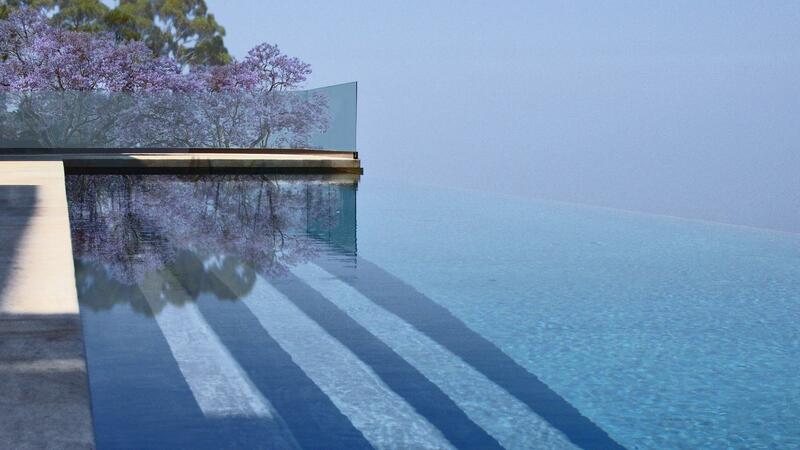 The infinity lap pool seamlessly blends its 50 feet of length with the mood of sky and ocean beyond. Pathways wind through the site following a historical wagon trail laid by California’s early settlers. 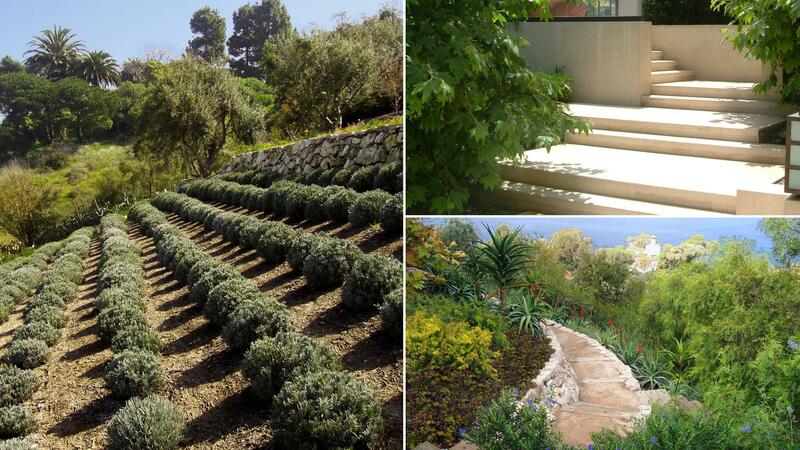 Its gardens are inspired by our Client’s mutual interest in varied regional gardens. 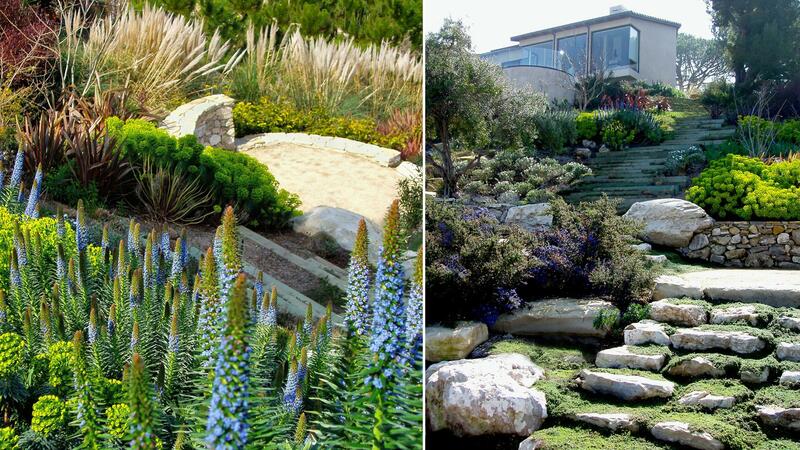 This collection carefully weaves together a Woodland Garden, Provencal garden, Japanese Zen garden, Cacti Garden, Succulent Garden, California Native Garden, and other intercontinental low water using flora. The complex hillside construction included the installation of numerous mature trees.